Idlis are made by steaming batter in round molds called idli plates available in most Indian grocery stores. The batter is made with rice and black (dehusked) gram lentil, soaked and ground into a batter, and fermented. It takes planning and preparation to make traditional idlis, so you can't have them the day you want them. But they are absolutely worth it. They are healthy, balanced and great for breakfast. Or anytime, really. 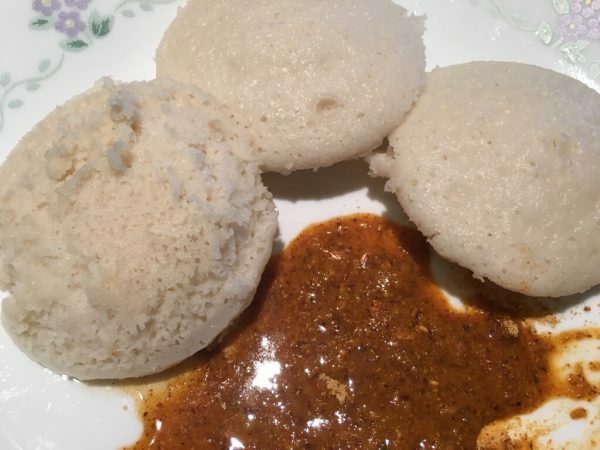 3 cups Idli rice This rice is specially made for idlis, sold in Indian grocery stores, and comes in brown or white. It is short grained. Take it out and put it in a big stainless container. It is important to use a stainless steel container as it helps fermentation. While doing this, add the handful of poha to the soaking rice. The poha definitely helps with the fermenting process. Now add the rice to the blender and adding water, blend to a slightly coarse, not completely smooth texture. If it's too smooth, the idlis will lack the typical texture. 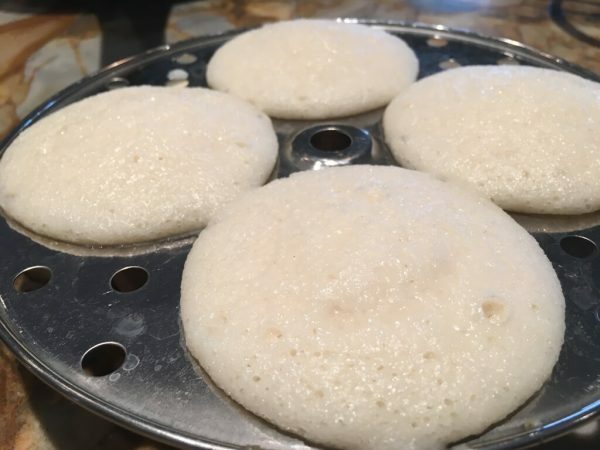 At this point, if you google idli batter, you will see many ways of getting the batter to ferment. 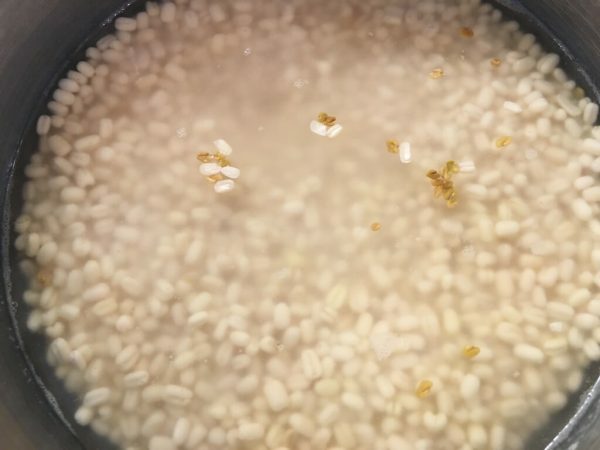 The one that has consistently worked for me is this: I add about a cup of very hot water, and use a wire whisk to blend the urad and the rice batters. I do not add salt at this point, as there is a theory that salt inhibits fermentation. After it ferments and rises, add the salt, and using a ladle, mix it up. 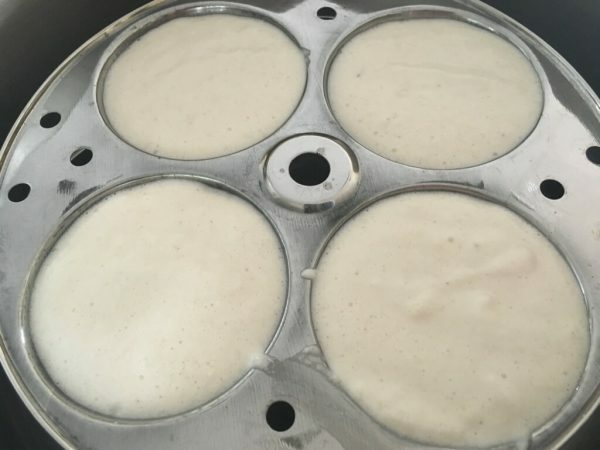 Fill the molds of the idli plates with the batter. 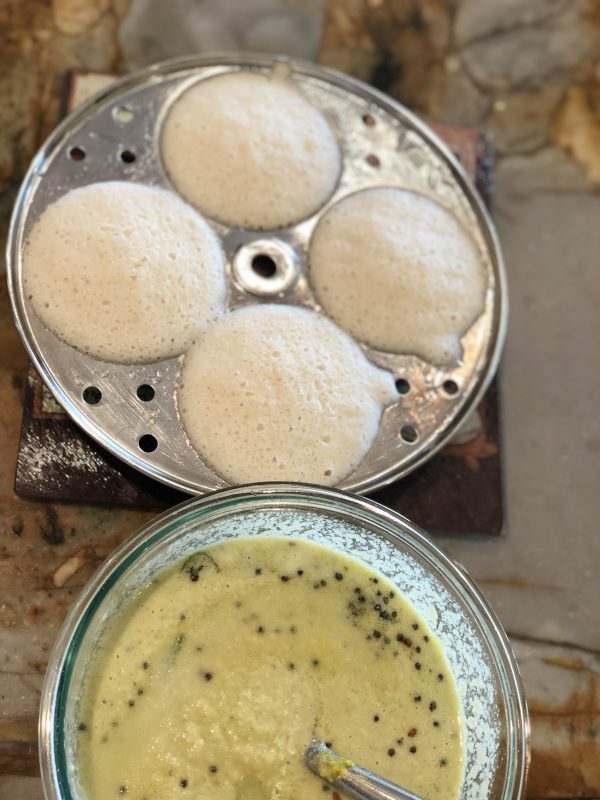 Once the water starts boiling, stack the idli plates on top of one another, cover the pot, and steam on medium heat for 12-15 minutes. Turn the heat off, and let it stand for a couple of minutes before opening. Using a sharp spoon/knife dipped in cold water, pry the edges of the idlis loose, then go under the center and lift them out. You have hot, steaming idlis! Serve with chutney, sambar, and/or a special powder called idli podi/milagai podi. Enjoy! Making idlis successfully is more of an art than a science. You can do everything right, and still have a batter that refuses to ferment and/or rise. It depends a lot on the weather, the temperature, the quality of the rice and the lentils. 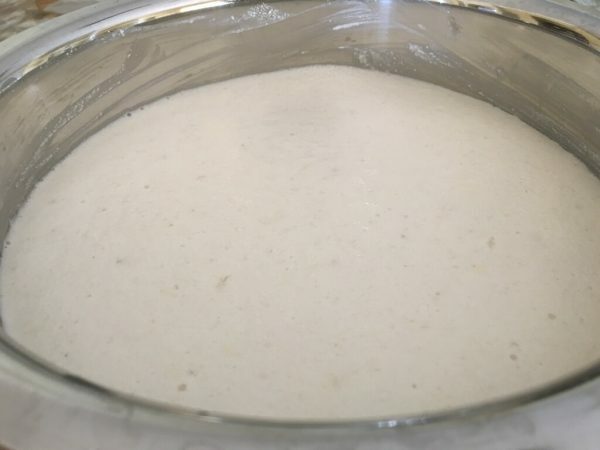 The batter could ferment, but you could end up with hard, rock like idlis if it does not rise. 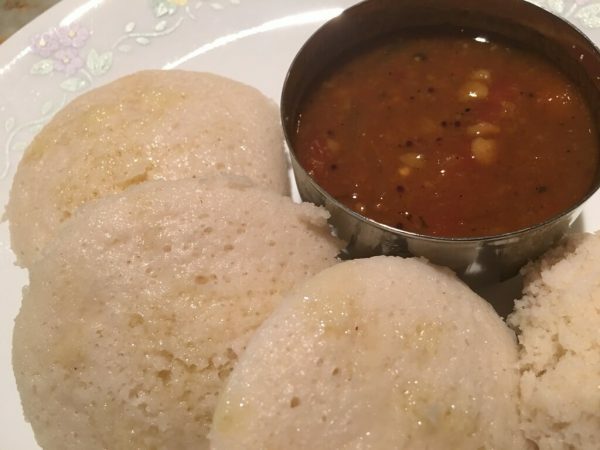 But with the above method, I have been getting consistently soft and fluffy idlis. I use Laxmi brand idli rice, and Laxmi brand whole, skinned urad. But any good quality rice and lentil should work. This in no way means I am endorsing these products, just sharing what has worked for me. 1. 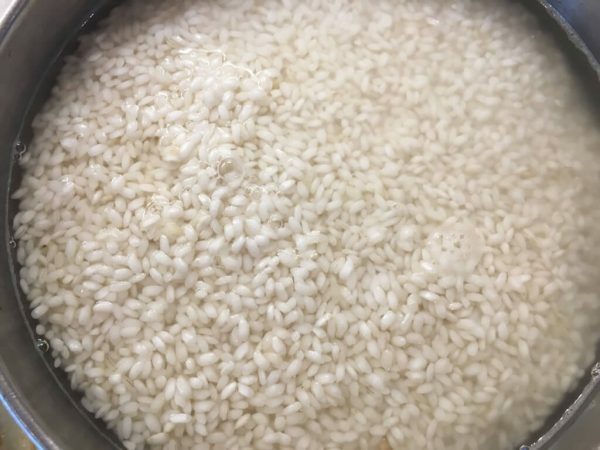 It's important to let the urad grind really smooth to a buttery texture and give it enough water to make it airy. 2. 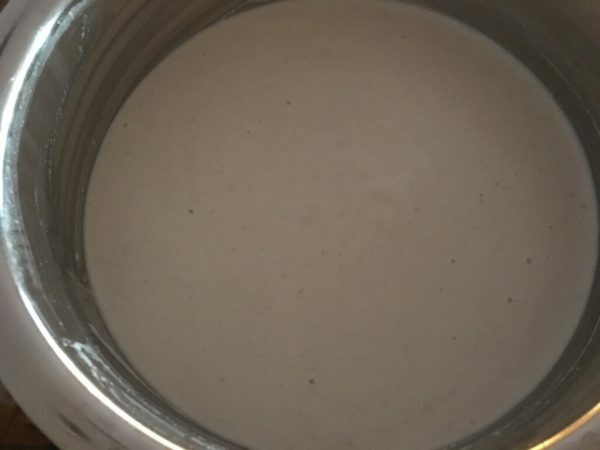 The final batter should not be too thick - it needs to be only slightly thicker than pancake batter. This allows the air bubbles to form. 3. It needs to be allowed to ferment in a warm area. I typically keep it in a sunny spot in my lanai. It helps the bacteria that aid fermentation to form quickly. It's a bit temperamental, but when you see that fermented and doubled batter, it makes you so happy! 4. I use a pressure pan to make my idlis, and find it's enough. You may use any wide, deep stainless steel pot to cook them - any 5 quart pan would work well. There are special idli pots sold in India, but I have never used them. They just need a covered pot to steam in. 7. 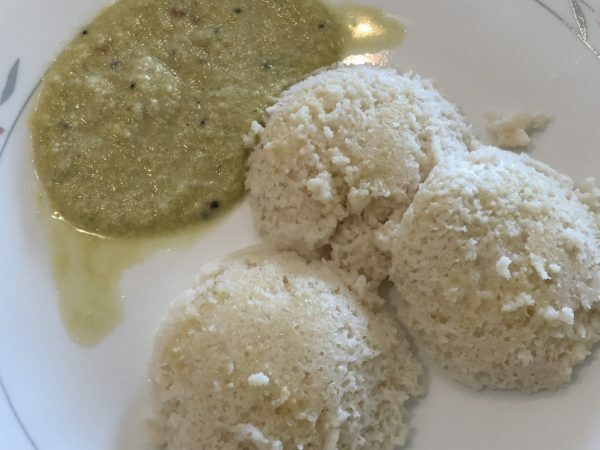 I have discovered that adding the poha to the soaked rice for about 10-15 minutes makes the fermenting a sure thing, and also yields super soft idlis. Try not to skip it!